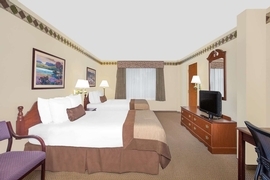 BuyReservations.com is committed to providing the best airport hotel options for GRB. Our airport hotels, which include parking and airport shuttle transfers, are a great alternative to airport parking*. We strive to get the most affordable rates at the most reliable hotels. Our Park Snooze and Fly package will make your travel experience seamless and convenient at Green Bay - Austin Straubel International Airport. *Unless otherwise noted, see Park Snooze and Fly Package Information below. 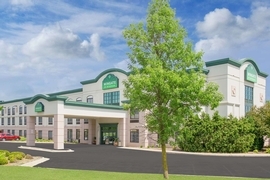 Our Park Snooze and Fly Package includes 2 weeks of free parking at the hotel near Green Bay - Austin Straubel International Airport while you're enjoying vacation and a one night's stay at Wingate by Wyndham Green Bay the night before your flight. Alternatively, we can provide hotel accommodations on the night of your return. Lastly, shuttle transfers will be provided to Green Bay - Austin Straubel International Airport when you depart and transfer you back to Wingate by Wyndham Green Bay upon your return so you may get your vehicle. If you have a late landing, staying the night of your return is also an option. You can take advantage of parking your car at the hotel prior to your flight and getting well rested at the hotel the night of your return. Our Park Snooze and Fly Packages are an excellent way to make airport parking convenient and affordable. The Wingate by Wyndham Green Bay allows late arrival check-in so you know your room will be ready even if you have a late landing. 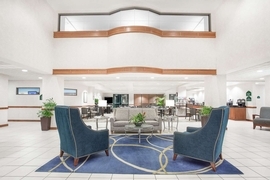 If you need more parking than the included free parking at the Wingate by Wyndham Green Bay, you may extend the parking duration for an additional fee of (7.00 Per Additional Day) paid to the hotel. The Wingate by Wyndham is a popular option for our packages! We have received great feedback for this property! Features for the Wingate typically include oversized guest rooms with flat screen TVs. The hotel rooms also have microwaves, refrigerators, and free Wi-Fi! 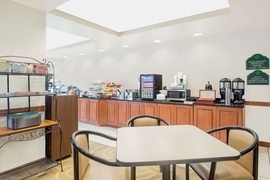 One of the noted reasons to book this particular hotel is its free hot breakfast in the morning, which has fresh and hot waffles, scrambled eggs, yogurt, fruit, and more. 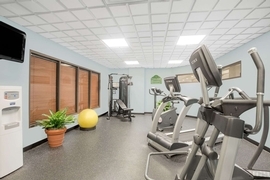 Most have 24-hour fitness centers. Your great start to an amazing vacation starts with the Wingate! 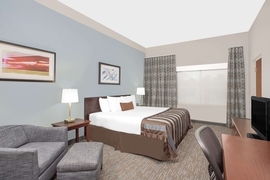 Click here to see all of our Wingate by Wyndham hotels which we offer in alternate cities.